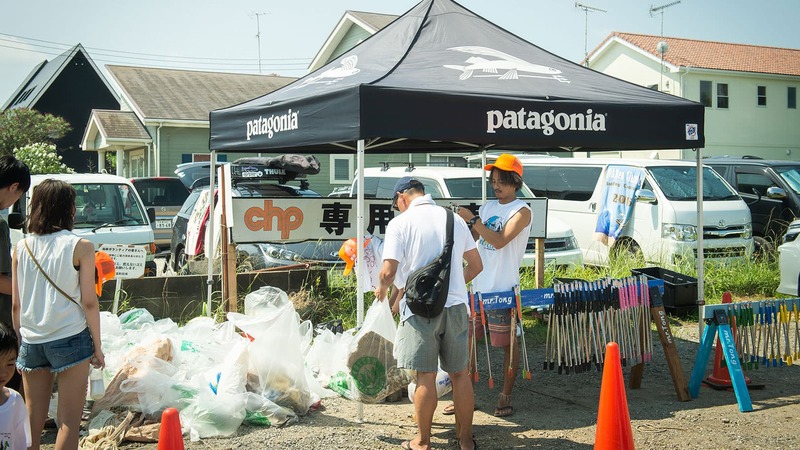 On August 5, 2018, at Chiba Prefecture Sunrise and Yonrise beaches in Japan, Volcom and Patagonia partnered with the local surf shop CHP and the non-profit JEAN (Japanese Environmental Action Network) to host the 10th annual beach cleanup. 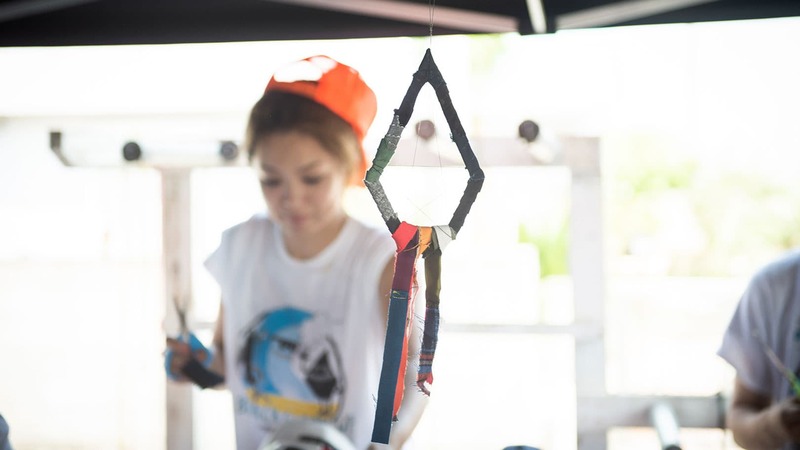 The message was simple: to think about the environment and to think global and act local. 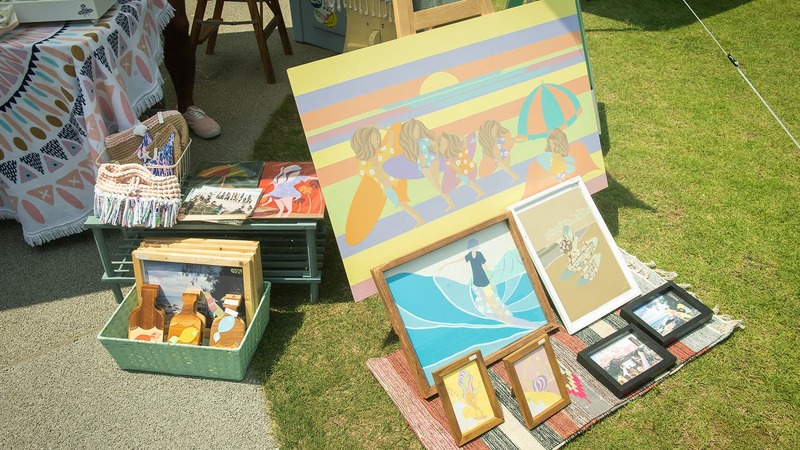 Aside from the beach clean-up, other activities throughout the day included surf and skate lessons, an organic market, yoga sessions, arts and crafts, and various workshops which focused on the harm of single-use plastics and included plastics that were found on the local beaches. 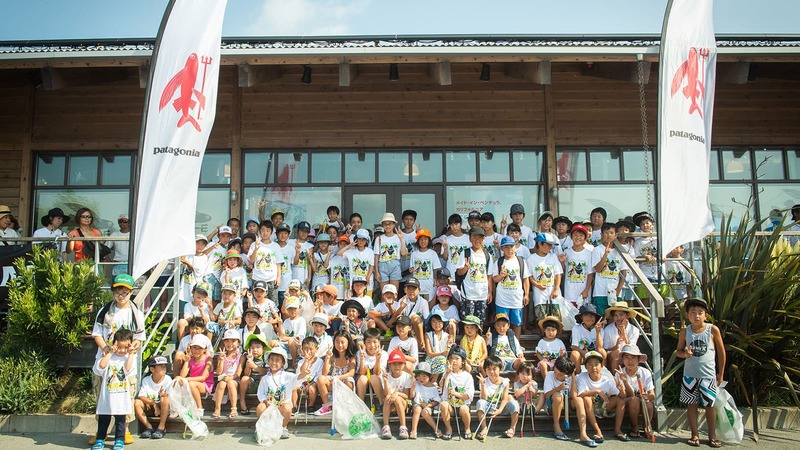 More than 800 participants were involved in the cleanup, which was our biggest turnout yet. 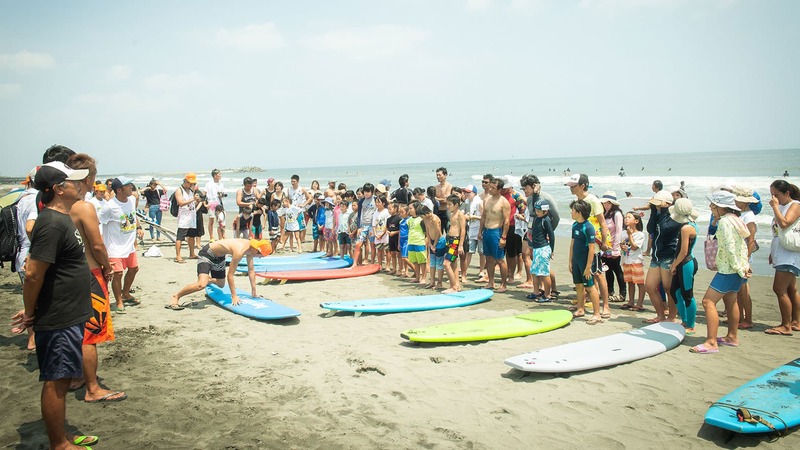 The event included volunteers from Volcom Surf Team’s Tomofumi Yoshioka, Guy Sato, Taichi Wakita and Sara Wakita, Volcom Snow’s Naoya Hama and Ruki Tobita, and Volcom Skate’s Tatsuma Masuda. 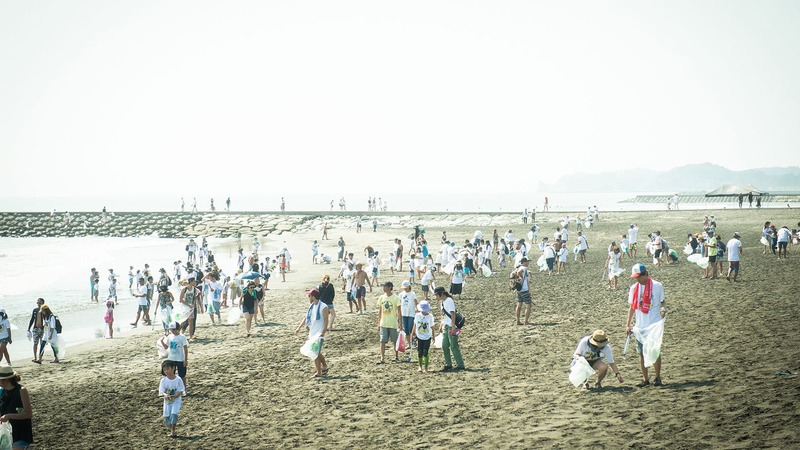 After the beach cleanup, the contents of the garbage was inspected by the International Coastal Cleanup (ICC), which is the world’s largest all-volunteer event for the ocean, according to the American Recycler Newspaper. 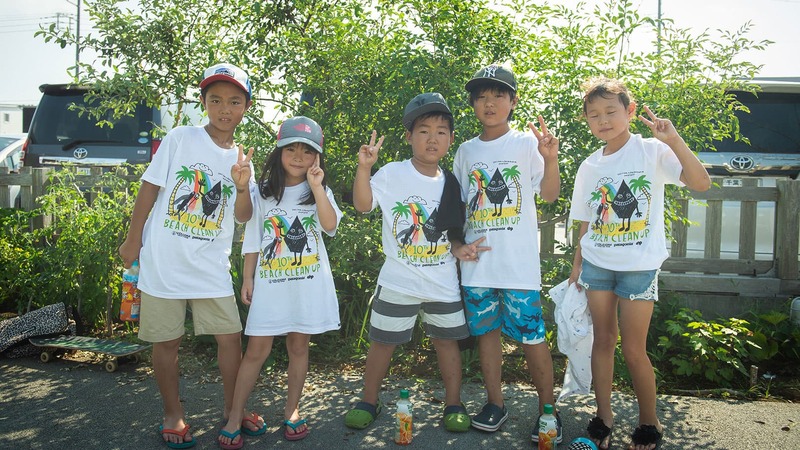 A survey was conducted on-site after the inspection, and primary school students who participated in the survey were offered research credits towards their summer assignments. 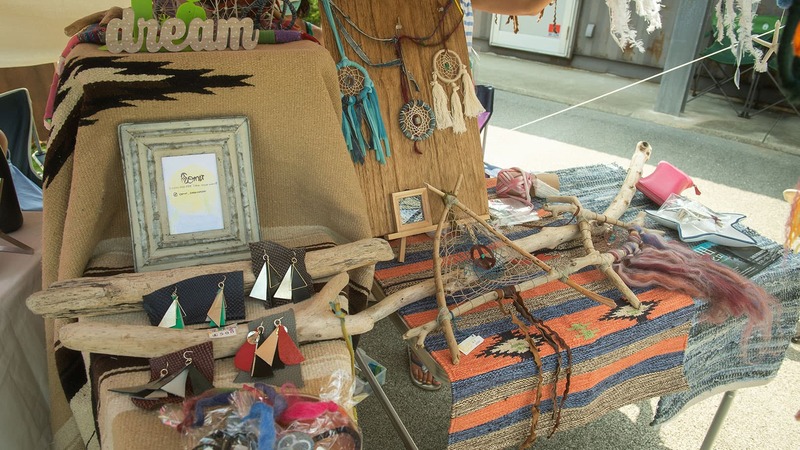 There was also an organic market which was held at the Patagonia Surf Chiba courtyard, and local shops as well as organic food restaurants, handmade goods, foliage plant shops, and workshops were set up all day handing out samples and educating the crowd. 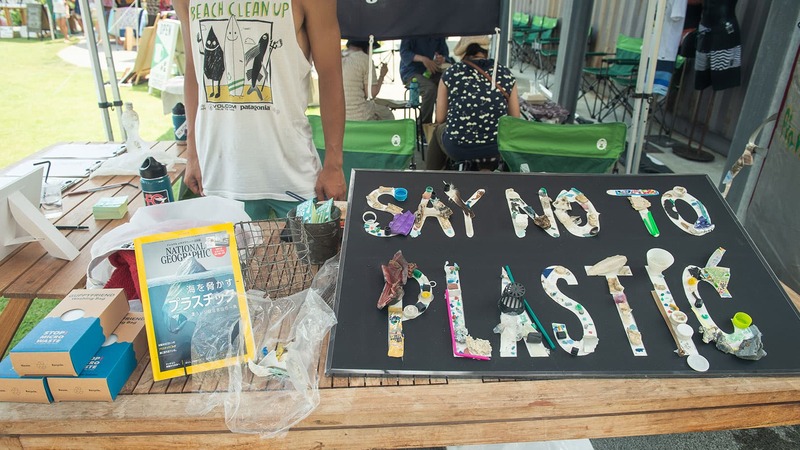 At the Patagonia booth, a workshop was held to produce art using small plastics (microplastics) that were collected at the beach. 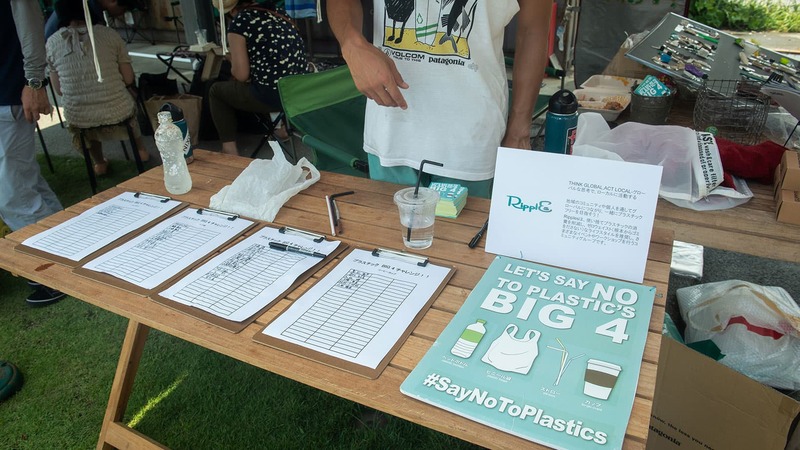 With the help of Ripples, a community group which helps to reduce the consumption of disposable plastic, we implemented #SayNoToPlastics signature activities which aimed to reduce plastic bottles, plastic bags, and straws. Ripples is dedicated to connect the world globally through local communities and individuals, and aim for a plastic-free society. 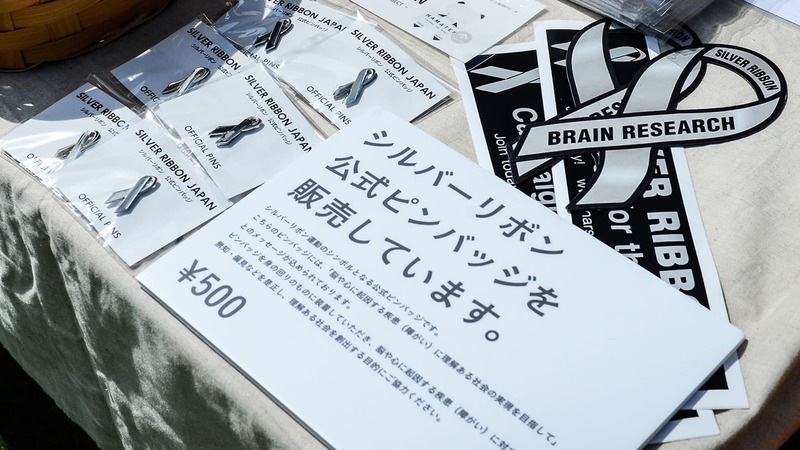 At the Volcom booth, we held a workshop in conjunction with Silver Ribbon Japan whose focus is on environmental issues, awareness of mental health issues, and conducting eco-recycled workshops. 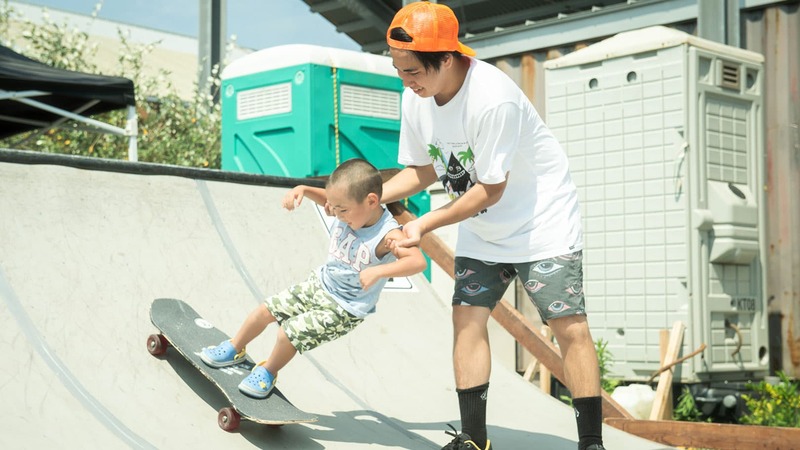 In addition, continuing from the last few years of the Volcom Japan X Patagonia Beach Cleanup, our Volcom workshop included members of the Yumegaoka DC who are a working institution for the handicapped which is operated by Silver Ribbon Japan. 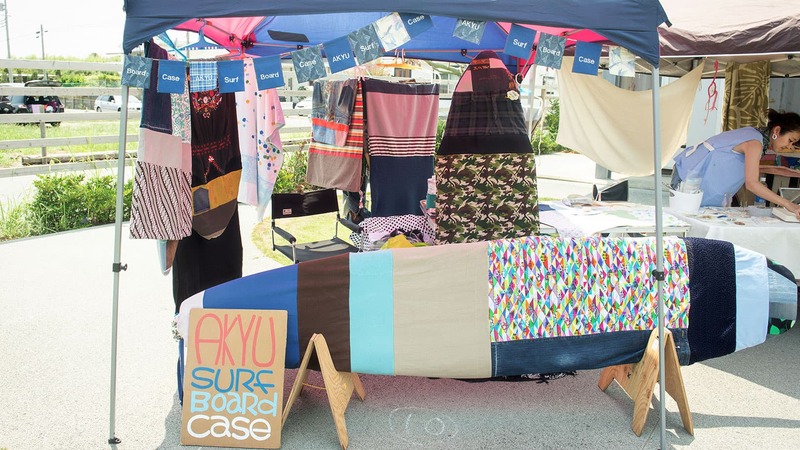 Thank you to everyone who came out to support this great cause, the local surf shop CHP, and all of the volunteers and locals who helped make this happen. Volcom is proud to announce that since 2012, in partnership with Repreve, we have helped to recycle more than 10 million plastic bottles which have gone to find new life in our products. We are envisioning a New Future where our oceans are strong, our climates are stable, and our societies are fully engaged.